The position of Administrative Assistant to the Head of School or Division Head is a unique, complicated, and demanding one, requiring a high degree of professionalism as well as a complex combination of exceptional interpersonal skills, technology know-how, and the ability to manage and track several projects and events simultaneously. No easy feat! And because the position requires maintaining a high level of confidentiality, it can feel particularly isolating. Start the New Year right and join your peers from other independent schools in an inspiring day of learning and conversation. This retreat-like workshop offers a welcoming environment designed to foster dialogue and connection with those who face similar challenges. In addition to developing new and supportive relationships, you will build new skills. Kate Sheppard, our guest speaker, will share her expertise on interpersonal communication skills, and provide strategies to better manage difficult conversations. There will also be time to problem solve, share know-how and resources, request practical advice and simply share stories about the joys and challenges of our jobs. We encourage you to build on the many new connections made once you leave. The workshop will meet from 10:00am – 3:00pm at Prospect Sierra, in El Cerrito. Lunch will be served. 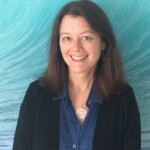 Violet Borowski joined the San Francisco Friends School in 2012 as Assistant to the Head of School. She is a graduate of CSU San Bernardino and has worked in the field of education for over eight years. 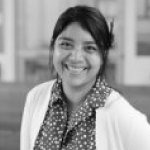 She made San Francisco her home in 2005 and has worked as a kindergarten assistant teacher, as well as an Executive Assistant for PACT, an educational nonprofit specializing in free collegiate assistance to underprivileged youth. Katherine Preston, licensed Marriage and Family Therapist, has been a practicing psychotherapist for thirty years. 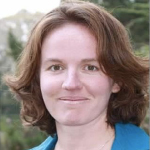 She is currently the mental health specialist for the San Francisco Friends School. She also maintains a private practice in San Francisco, including providing clinical consultation to other mental health professionals. She has held many clinical leadership positions overseeing and providing clinical training and supervision for therapeutic school-based services. Kate Sheppard has worked and volunteered for several Bay Area and national non-profit organizations with emphasis in staff development and training. For the past fifteen years, Kate has worked for the YMCA of San Francisco. In her current role in the Staff Development Department, she develops leaders at all levels of the organization, facilitates cultural change, evaluates impact, and effects meaningful growth.